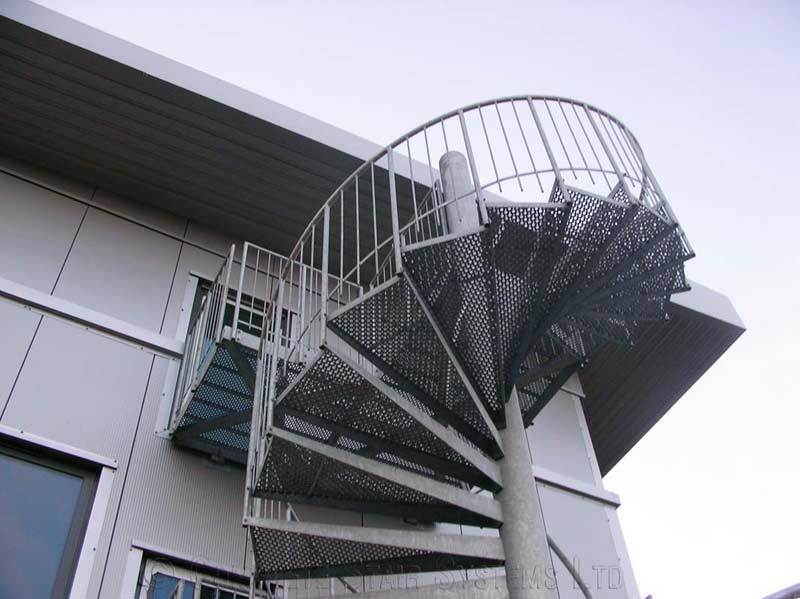 All our commercial and large domestic steel spiral staircase are custom made. As each application is a little different the going, rise and platform sizes need to be formed to suit the project. 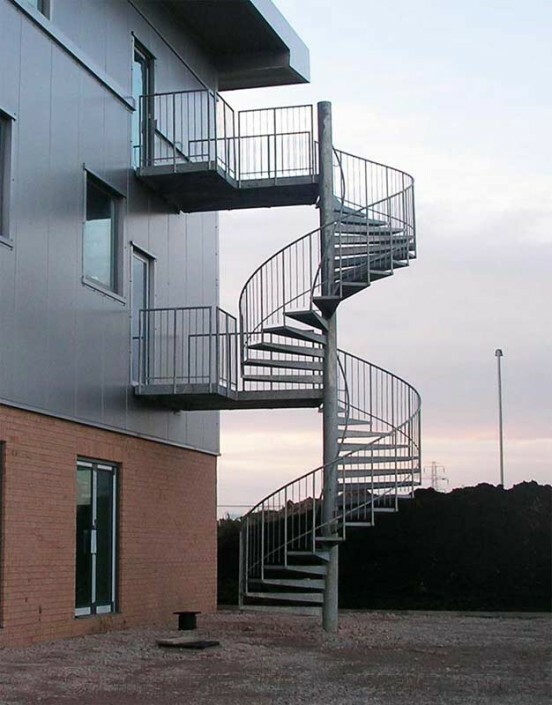 For this reason full working drawings are prepared for each spiral staircase. 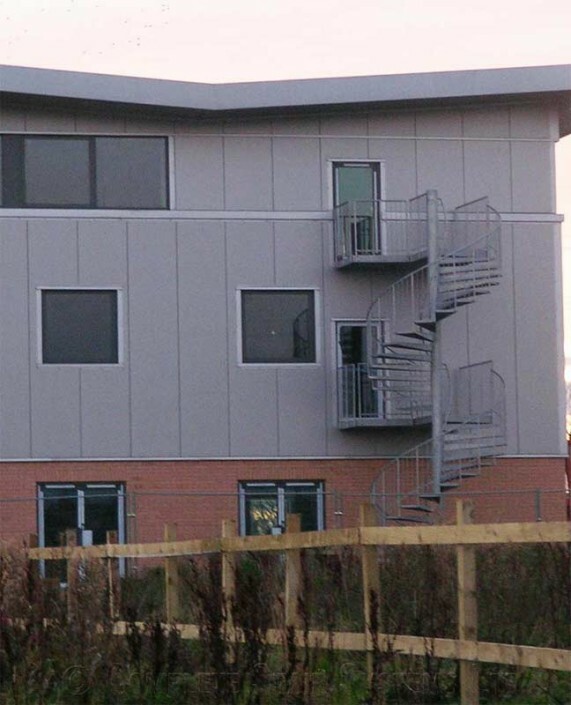 The handrail is generally 42.4mm diameter and the platforms are generally square in shape, situated level with the finished floor. 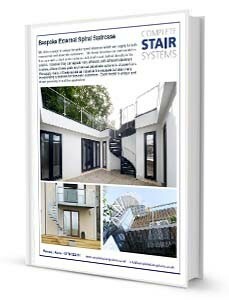 Form domestic applications a small riser bar or steel back plate can be added to comply with the 100mm gap rule. The vast majority of these spirals staircases are supplied for external use and are therefore galvanised for protection. Internal models can be supplied primed for on-site painting or full powder coated. For those wishing to have a coloured external flight, a special powder coating finish can be added to the already galvanised surface. For a price for your own Spiral Staircase Blackpool – please fill out the form below.